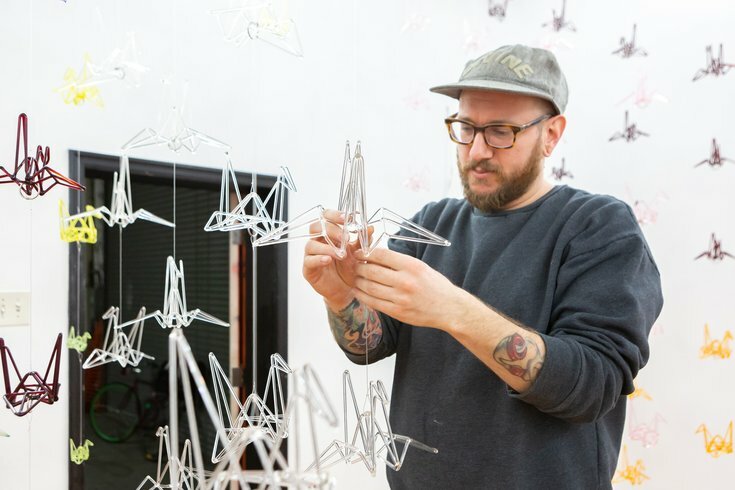 How weed culture inspired Jeremy Grant-Levine to create 1,000 glass cranes. Grant-Levine repositions a crane ahead of the reception on Saturday, March 30, at the Aviary Gallery in Fishtown. Those are the words of Philadelphia artist Jeremy Grant-Levine. 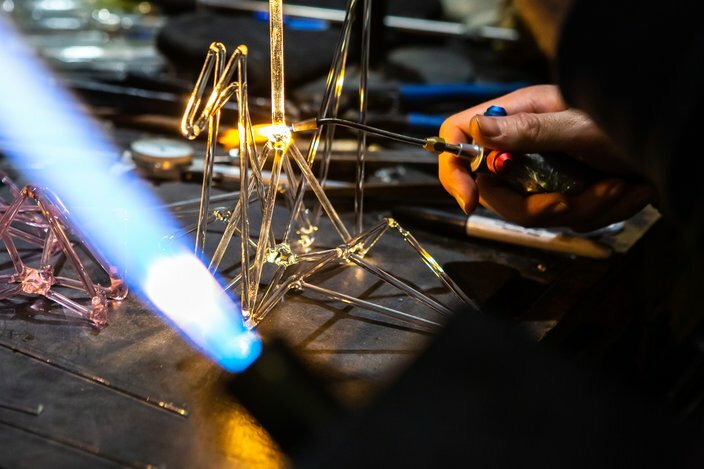 For his exhibition, 1,000 Glass Cranes, he manually created that many glass blown cranes as part of his quest for balance and will share them with the world in a dynamic fashion during an opening reception Saturday night, March 30, at The Aviary Gallery, 1345 North Front Street in Philadelphia. One of 1,000 glass cranes hangs in the studio on North Front St. in Fishtown. It was Grant-Levine’s discovery of weed culture and the glass pipes associated with it that would change his art life. 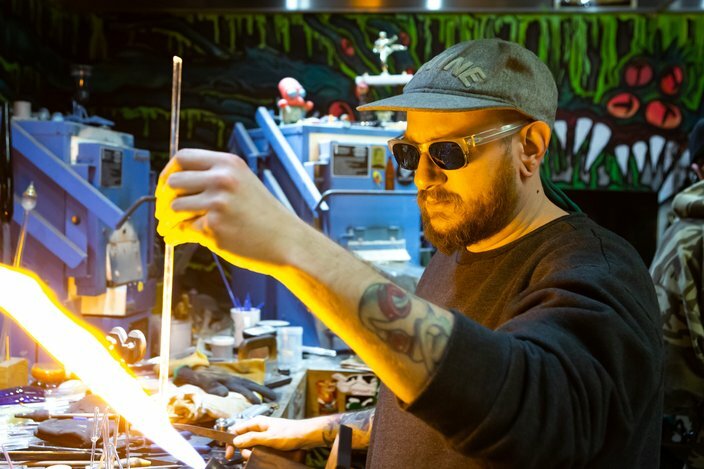 Glass artist, Jeremy Grant-Levine, also known as Germ Glass heats a piece of borosilicate glass in his Fishtown studio. One of Grant-Levine’s personal habits led to what would be enough glass graces to fill a room. 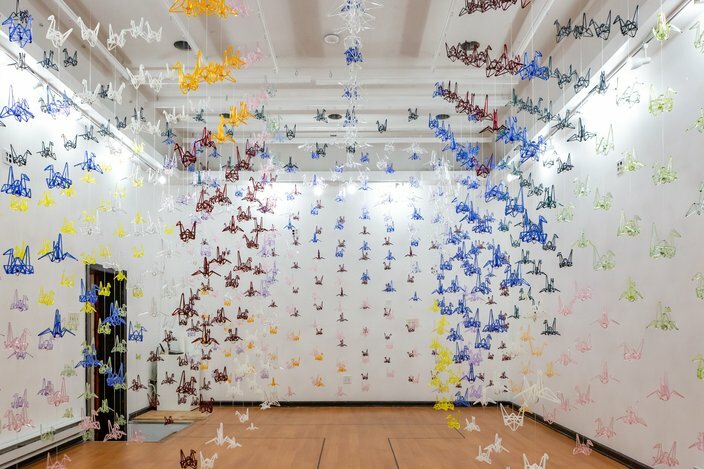 Philadelphia-based glass artist, Jeremy Grant-Levine, made 1,000 cranes, similar to the Japanese practice of constructing 1,000 origami paper cranes, known as senbazuru. Grant-Levine heats up a connection between the handle, known as the punty, to remove it from the body of a crane. 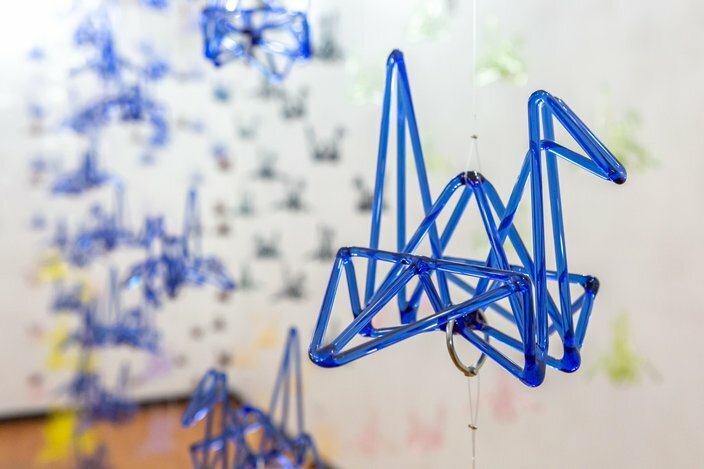 Through bouts of depression to signs of progress in completing his 1,000 cranes, Grant-Levine learned a lot about himself through each glass bird. 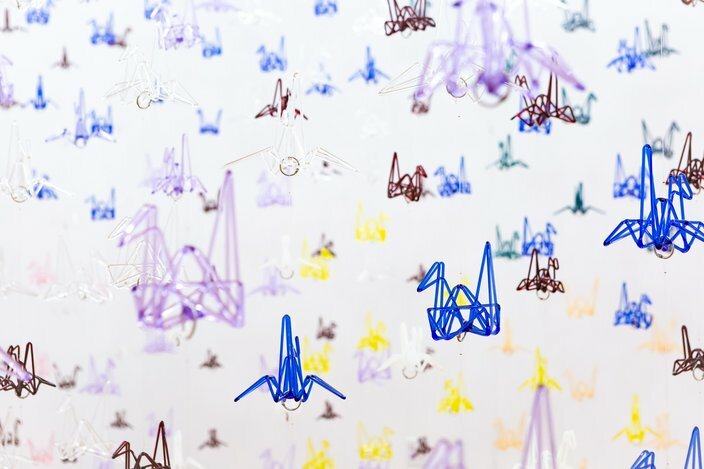 Grant-Levine wished for balance, and by creating his family of cranes of different sizes and colors, he’s seemed to have found it.